If you ask me, that’s a nice place to be for the folks at Skil. 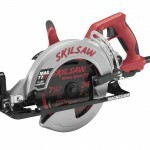 The Mag 77LT is Skil’s newest and lightest circular saw yet. 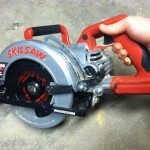 It is very much still the “Skilsaw” that we all know with the same basic time-tested design. 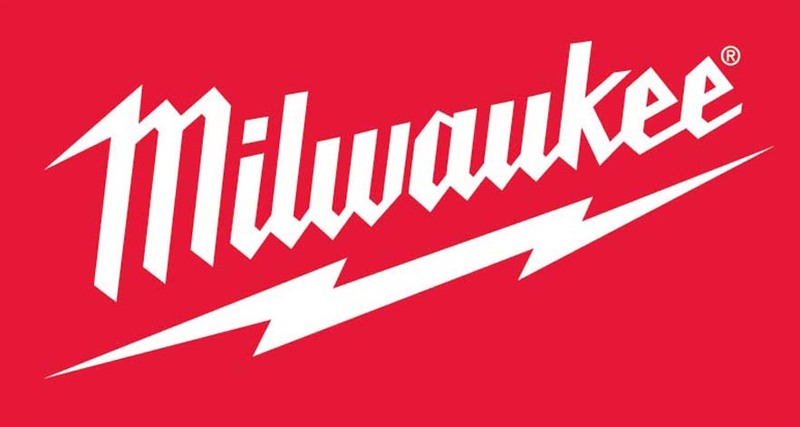 This new design does have some features that distinguish it from the earlier Mag77 design. Snap in and store securely in base plate. The best feature on this multipurpose wrench is the positive-action “snap in” that holds it securely in the saw’s base plate. 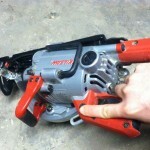 No matter how you hold, use or bang this saw around the wrench stays put. Pulling the Mag77Lt out of the box revealed a compact and clearly lighter saw than other inline saws I’ve used in the past. 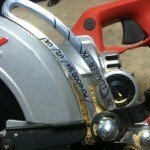 This saw is even lighter than my Dewalt DWS535 and the Makita’s hypoid 5377MG. The Mag77LT measures 9 x 20.75 inches, weighs 13.2 lb. and has an 8-foot power cord with a twist lock plug. Skil achieved this weight reduction by using magnesium in the blade guard, base plate, motor and gear housing. Currently it enjoys the reputation as being the lightest worm-drive saw on the market. 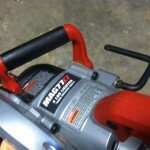 Attaching the blade to the Mag77LT was easier. 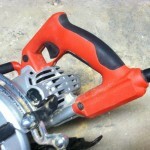 The spindle lock is more accessible the previous model and makes the blade change process faster. There is an adjustment to ensure the blade is 90 degrees to the base which is nice for setting up the saw and checking it after a drop. I’m not a huge fan of the depth-of-cut adjustment which is marked for 1⁄4-in., 1⁄2-in., and 3⁄4 in. plywood, and for 1x and 2x dimensional lumber. I’m guessing they are trying to get you in the ball park quickly. I never really use the scale and wonder if the production cost would come down if they eliminated it altogether? 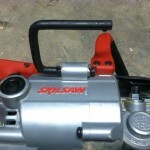 The saws bevel adjustment is clearly marked, easy to read and has a spring stop that stops the bevel adjustment at 45°. Releasing the spring stop allows for a bevel adjustment up to 53°, a 2° bevel increase over the MAG77. 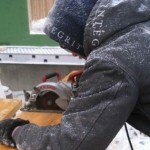 Using the tools weight and gravity to make cuts with this saw still hasn’t changed. The reduction in weight will benefit the user over time with hopefully reduced fatigue in repetitive use situations. I plowed through double plywood, 2x stock and 4x stock with zero issues. The saw has power that’s for sure. 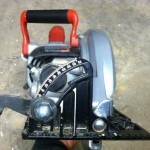 This saw is comfortable, balanced, and the reduction in weight was well thought out. 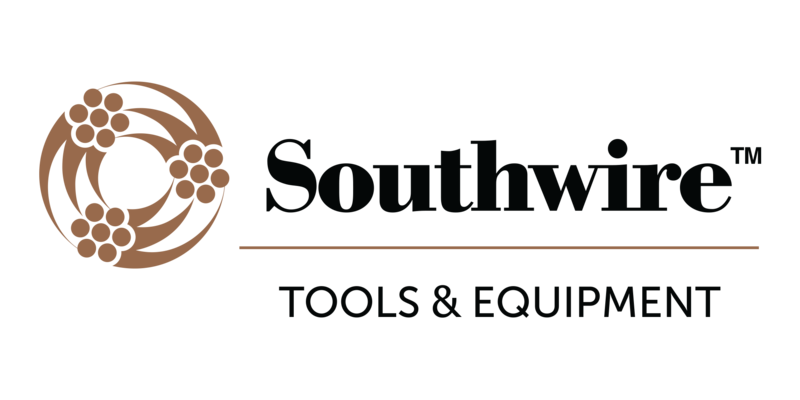 A two position saw hook is well placed and securely holds the saw on 2x lumber and often came in handy allowing you to hang your saw on a ladder, joist, or rafter without it falling off. During angled cuts we appreciated the anti-snag lower guard which seemed to improve the overall guard functionality and provide smooth guard operation for small cut-off pieces. 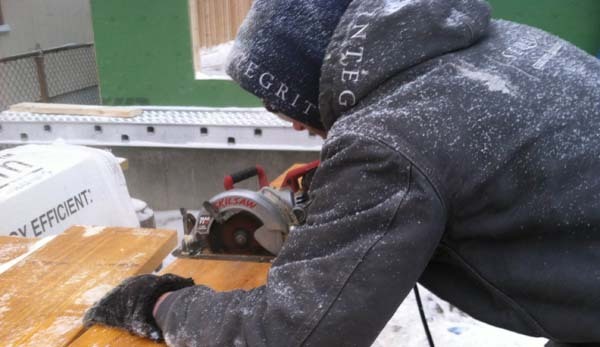 The magnesium foot plate is designed to endure job-site abuse and although I did drop this saw once we don’t have enough time on this saw or drops on it to report back on weather it will hold up to multiple job-site drops that inevitably happen. 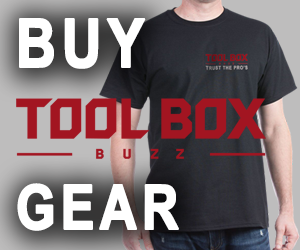 The Mag77LT is an oil lubricated worm drive saw, the oil, brushes, and bearings are serviceable. Oil lubed, worm gear saws typically are more powerful, last longer, are more durable and long saw life in addition to quiet running. 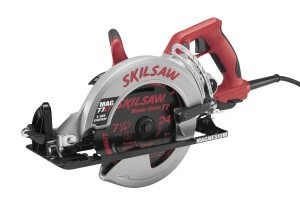 The Mag77LT has a 7-1/4 inch, diamond arbor blade that will cut to a 2-3/8 inches when set at 90°. When set at 45° the Mag77LT will cut at a depth of 1-15/16 inches. At 53°the saw cuts to a depth of 1-5/8 inches. Skil hit a home-run on the Mag77LT. The new design does not seem to have sacrificed power, balance or durability. We loved the 53° bevel, lighter weight and storage hook. 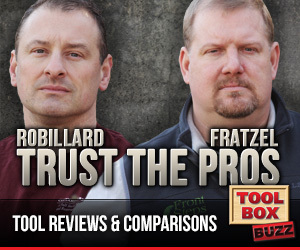 They made a great saw better and lighter, well done!